Singapore has just celebrated the 52nd year of its independence as a nation, it’s a multicultural society of immigrants and their descendants and its music draws on many traditions, particularly Chinese. The three members of SA the Collective grew up experiencing a mélange of musical traditions, not only from within Singapore but across the globe. They especially look to their Chinese ancestry in developing their music, which embraces experimental as well as classical Chinese styles. 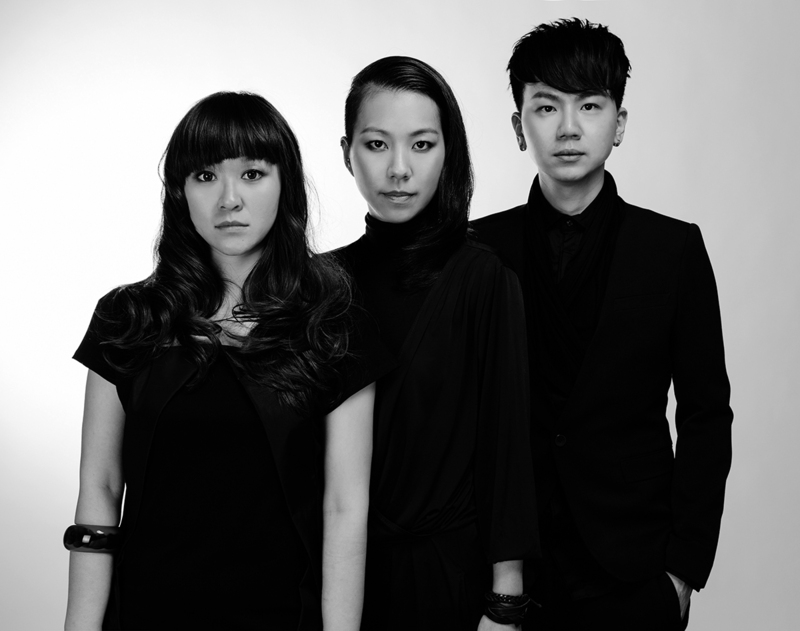 Formed in 2011, SA the Collective comprises Andy Chia on dizi (Chinese flute), dijeridu, vocals and electronics, Natalie Alexandra on guzheng (Chinese zither) and electronics and Cheryl Ong on drums, percussion and electronics. All were trained from an early age on their Chinese instruments. The band’s name includes SA, which in Chinese means three, is from a northern dialect and was chosen to evoke the artists’ origins. The ensemble travels widely, performing in locations as diverse as Museum Siam in Bangkok and the International Society for Music Education’s 32nd World Conference (Glasgow, 2016). They blend dijeridu and overtone singing with modified versions of traditional Chinese and other instruments, all of which they mediate electronically to create a unique and compelling sonic tapestry. A blend of genres, their music hints at rock, jazz and ambient drone, and can involve multiple rhythms and a blend of chromatic and pentatonic scales, often in long, swirling improvisations. Their use of looping to add layers of sound and extended instrumental techniques, such as bowing or tapping the guzheng instead of plucking, and channelling it through effects pedals, broadens and enriches their sonic palette. Their music can be quietly meditative, hauntingly beautiful, joyously danceable or overwhelmingly powerful and complex. Cultural identity seems a perennial issue in Singapore. Cheryl Ong feels that Singaporeans are more Southeast Asian: “although we are by race Chinese, because our ancestry came from China, we don’t really carry that baggage of tradition anymore.” Their intention, as outlined on their Soundcloud page is “to create Musical Art that represents their modern identity as Chinese from a diaspora.” Their latest release, titled Flow, demonstrates how the trio weaves new music out of traditional forms and aesthetics, reinventing traditional Chinese music and bringing it into a high-tech, globalised world. In planning their program for OzAsia in Adelaide, Cheryl says the trio will play some of their current repertoire and perform some improvisations. Andy suggests, “a lot of it has to do with the people that are there, the environment and of course ourselves, and in that sense these three elements will mix to create the sonic experience you will hear.” Their forthcoming OzAsia perfomances will be their only Australian appearances. See SA the Collective performing and explaining how they play. Chris Reid spoke to SA the Collective in Singapore courtesy of Culturelink and the Adelaide Festival Centre.